Fantastic 2 story twin home nestled away in Logan! This 4 Bedroom, 2.5 Bath offers an incredibly spacious layout with central air and heating system. As you enter the cozy living room area, you~ll see that the main level presents a huge layout with recessed lightning and beautiful hardwood floors with custom wood trim that leads into the modern kitchen. The stunning tiled kitchen features 42" cherry cabinets, stainless steel appliances, and a beautiful European backsplash for you to enjoy. For convenience, the first floor also offers a half bathroom. The upstairs features sleek hardwood floors in all 4 bedrooms and 2 full bathrooms with custom tile walls and floors throughout this charming home. Head downstairs to see the basement which includes your laundry and a separate entrance for you to enter through from the outside! This home features a security system with motion detectors, two cameras at the front and back doors of the home. You~ll also enjoy the deck out back, and a yard that you can embrace. 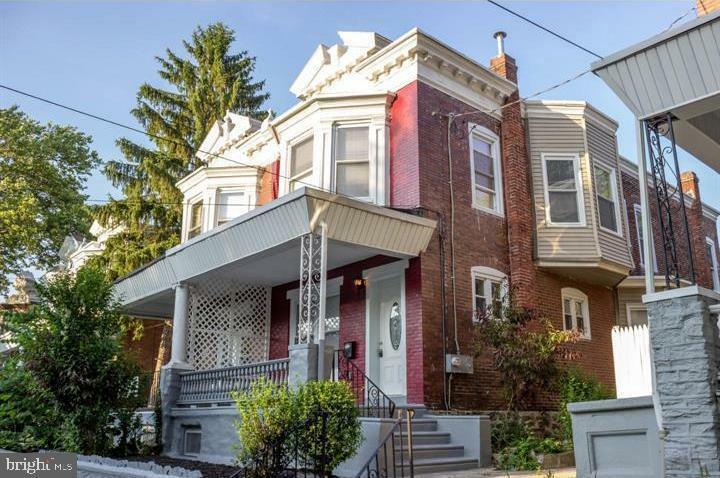 This wonderful home in Logan is near Barrett Playground, Logan Branch Free Library of Philadelphia, Einstein Medical Center, multiple grocery stores, and offers access to public transportation. Don~t miss out on this home! Schedule a showing with us today!